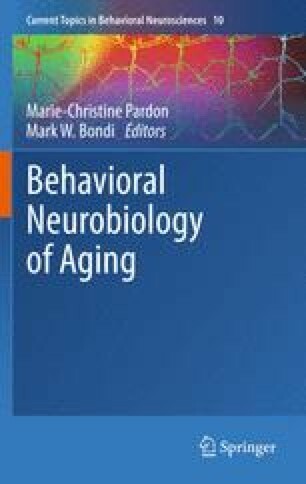 The main aim of this chapter is to review preclinical studies that have evaluated interventions which may aid in preventing or delaying age-related behavioural decline. Animal models of Environmental Enrichment (EE) are useful for evaluating the influence of cognitive, physical and social stimulation in mitigating cognitive decline at different ages. The EE paradigm has been proposed as a non-invasive treatment for alleviating age-related memory impairment and neurodegenerative diseases. While in this complex environment, rodents can be stimulated at different levels (physical, social, cognitive and sensorial), although a synergism between all these components is likely to play an important role. We will summarize available data relating to EE as a potential therapeutic strategy that slows down or counteracts age-related cognitive and behavioural changes. EE also alters physiological responses and induces neurobiological changes such as stimulation of neurogenesis and neural plasticity. At the behavioural level, EE improves learning and memory tasks and reduces anxiety. Several variables seem to influence the behavioural and cognitive benefits induced by EE, including the age at which animals are first exposed to EE, total period during which animals are submitted to EE, gender, the cognitive task evaluated, the drug administered and individual factors. Cognitive and physical stimulation of animals in enriched experimental environments may lead to a better understanding of factors that promote the formation of cognitive reserve (CR) and a healthier life in humans. In the present chapter we review the potential benefits of EE in aged rodents and in animal models of Alzheimer Disease (AD). Results obtained in preclinical models of EE may be relevant to future research into mental and neurodegenerative diseases, stress, aging and development of enviromimetics. Finally, we outline the main limitations of EE studies (variability between laboratories, difficulty of separating the different components of EE, gender of experimental subjects, individual differences in the response to EE), evaluating the potential benefits of enriched environments and the neurobiological mechanisms that underlie them. We conclude that there are experimental data which demonstrate the cognitive benefits of rearing rodents in enriched environments and discuss their implication for clarifying which variables contribute to the formation of the CR. Supported by a grant from “Ministerio de Ciencia e Innovación” (Spain) and Plan E (Grant number: PSI2009-10410) and “Conselleria d’Educació i Ciéncia” from Generalitat Valenciana (Spain) (Grant number: GVACOMP2010-273). We would like to thank Asunción Pérez-Martínez for her help in photography and Mr. Brian Normanly for his help in revising the manuscript.